This blog was written by Hiba Salem, the University of Cambridge. Refugee = Oncoming masses. War. Fight or flee. Perish. Crisis. Others. This is the meaning of the word in our modern times. Refugees are a routine fixture of news and global debates. Over the last few years, forced migration has tested the agendas of political establishments. The speed by which refugees have entered countries has unsettled nationals. The consequences of their migration are vast. Fear has arisen and propagated. In the midst of these effects are the real lives and well-being of over 65.6 million people who have been forcibly displaced. Forced displacement thrusts individuals into an alien world, stripped of any sense of normalcy or familiarity. Loss of education, work, relationships, safety, and assets is widespread. Governments and international agencies have enforced limitations and permissions that determine the present and future prospects of displaced persons. 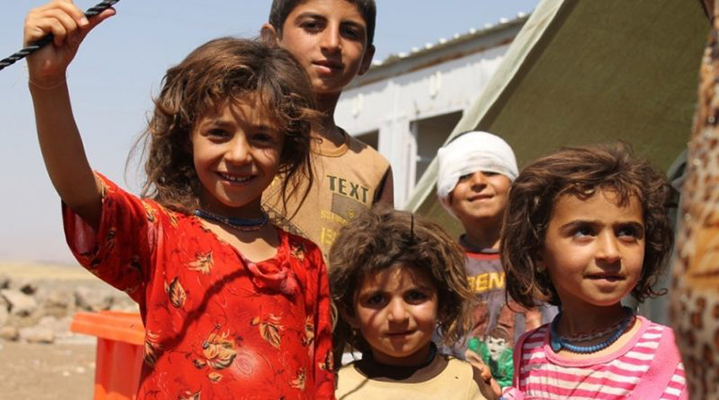 For refugee children, life after displacement is met with boundless difficulties. However, the protection of all children, including refugees, and their right to access education is universally recognised. Nations participating in the UN Sustainable Development Goals (SDGs) have a mission to ensure that all refugee children will have access to high quality and inclusive education by 2030. However, the success of these targets are at risk when applied to the complex and varied factors in play across numerous contexts. Based on my PhD research, which focuses on Syrian refugee students in Jordan, I argue that studying specific contexts requires paying heightened attention to the voices of those directly affected by forced displacement. This approach could significantly shape the way we as researchers, governments, and organisations assess contexts and develop optimised strategies for the best possible outcomes. In Jordan, despite large efforts and resources committed by the Ministry of Education and international agencies, students remain at high risk of dropping out of secondary school. The challenges that underpin this alarming circumstance have been reported to include financial hardship, tensions and violence between the national and refugee communities, insufficiently trained teachers, and overcrowded classrooms. The experiences and voices of Syrian refugee students have largely been understudied. During my research, I interviewed 80 Syrian refugee students using visual-based methods and personalised diaries. It became evident that paying heightened attention to student experiences would be highly valuable to researchers and organisations when assessing, in the plainest terms, what works and what doesn’t. Participants of my research were aged 13-16 and attended evening school hours across four formal schools in Jordan. Students who attend these hours are segregated from Jordan’s home students. The study focuses on understanding these students’ own reflections and evaluation of their well-being, and the ways in which they view their educational settings, aspirations, and futures. The interviews and discussions with students reveal a wealth of visceral examples of the ways by which educational settings contribute positively or negatively to their well-being, ability to belong, aspire, and participate in school and society. These included dimensions of school that expose students to discrimination, harm, lack of safety, and feelings of unhappiness. Additionally, students shared specific examples of their educational experiences that have helped them feel included, encouraged, stimulated, and more able to learn. During the time from the beginning of my research through to its end, I was deeply moved by the growing empowerment shown by the children engaging with the project. By giving voice to their opinions and by guiding them to delve into their experiences, the children were afforded the time to consider their own goals. Many children expressed that they had not been spoken to in this way or cared for in years. The allowance of this project for the children to express themselves provided them with an unprecedented sense of relief and hope. In feeling that their experiences have been disregarded by the world at large, the children felt that it was imperative that their stories be heard by as many individuals as possible as a call for action. Over the months that the students completed this project, students felt an increased sense of normalcy and value for their individualism. There is hope for the lives and well-being of refugee children when they can be heard.